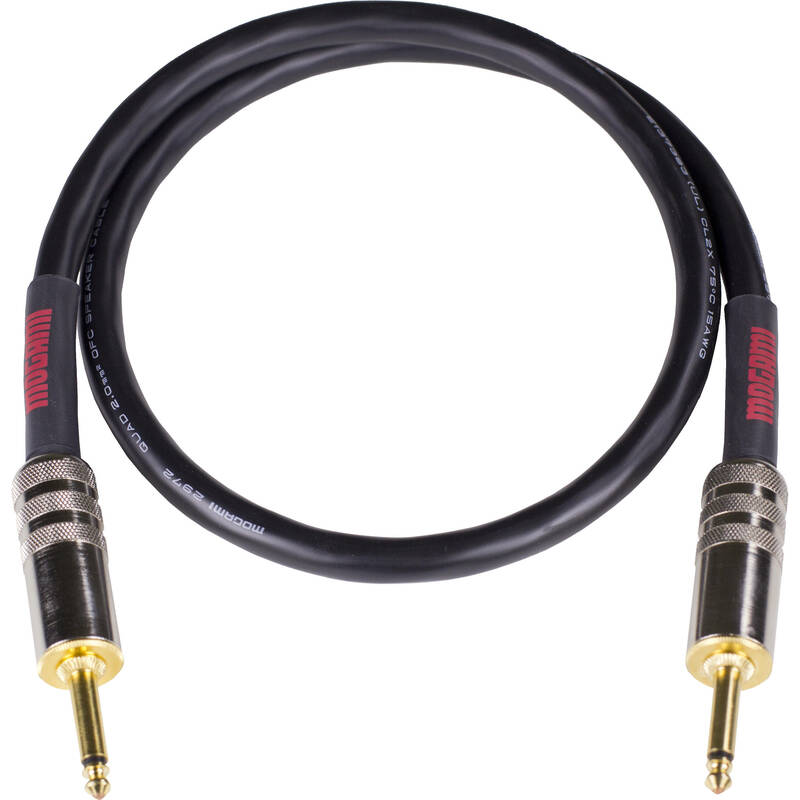 The 10' Overdrive Speaker Cable from Mogami is specially designed for the electric guitarist and bassist, to get the midrange and other frequencies right from their speaker cabinets. They feature a more controlled top end, with a fuller mid bass, improved sonic detail, and a high sound level, all without harshness. As a tone tip - Overdrive Speaker Cables and Overdrive Guitar Cables work well together or independently of one another, but the combination of the two ensures increased performance levels from both.